While it is true that an ambulance transported Paris to the hospital at 7:30 a.m. on Saturday, it was because she had an accident and not because she slit her wrists. Despite all the controversy surrounding her right now, Paris has managed to stay strong and true to herself. At last month’s 2019 Vanity Fair Oscar Party, for example, Michael Jackson’s only daughter cleaned up nicely and showed her glamorous side in a drapey, orange-satin Vivienne Westwood gown. 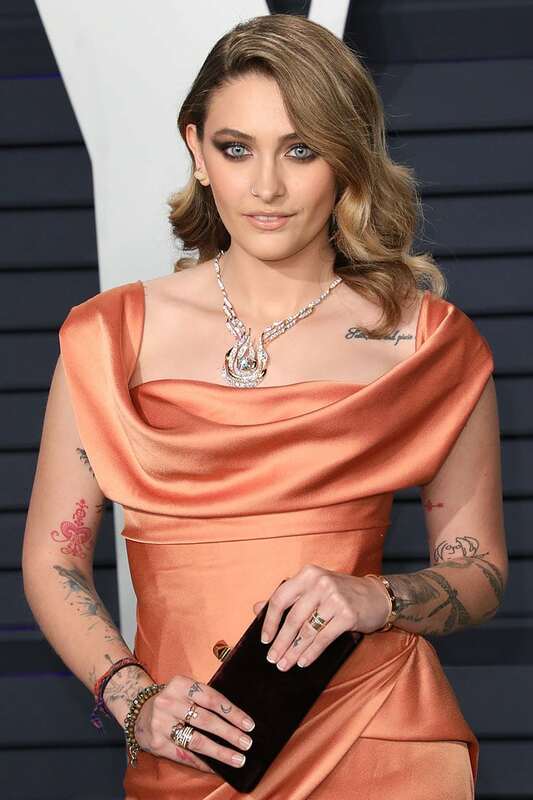 Her Hearts On Fire necklace, Jimmy Choo ‘Celeste’ velvet clutch, and Christian Louboutin gold-satin sandals were stunning, but it was her many interesting tattoos that really stole the show. Most of the time, though, we know that Paris likes to stay true to her signature bohemian style. At the 2018 LACMA Art + Film Gala that was presented by Gucci, the 20-year-old model selected a vintagey, old-white long-sleeved pleated gown out of all the Gucci designs she could’ve chosen to wear. She contrasted the grandma dress with trendy Gucci ‘Flashtrek’ sneakers, which is a testament to her unique sense of style. The Gucci ‘Flashtrek’ sneakers have got to be one of the ugliest designs to come out of the bulky dad shoe trend. They were even made uglier by the addition of the crystal straps, which, thankfully, are removable.